In these unique and challenging times, it is more important than ever to recognize the people and projects using art and media to create resistance through storytelling. Join us for our 26th annual gala! 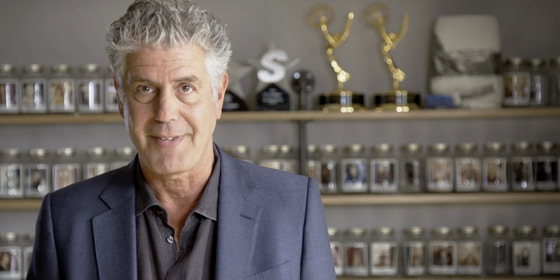 CNN host Anthony Bourdain's video accepting the Voice of Courage and Conscience Media Award last Sunday has made national and international news, including media outlets "The Nation" magazine, Haaretz, and Daily Kos and was also retweeted by the official Twitter of the Palestine Mission to the United Nations. Set against the backdrop of the beautiful, historic and ancient city of Akka in northern Israel, filmmakers Patrick Alexander Stewart, Gina M. Angelone and Mouna B. Stewart explore this centuries-old seaport while giving a voice to the Arab families at risk of expulsion despite generations of calling this land home. The son of a Palestinian father and Mormon mother, Kader has a unique outlook on the world. Kader moved to Los Angeles at the age of 19 to pursue acting and stand-up comedy. 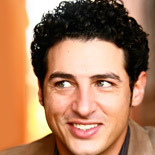 Kader is a founding member of The Axis of Evil Comedy Tour that toured nationally and internationally, and for the first time, brought comedy to the Middle East, selling out twenty-seven shows throughout the region. MPAC's Hollywood Bureau kicks off its 23rd Annual Media Awards Gala with the call for nominations, inviting you to nominate people and projects worthy of recognition. We want to hear what films, TV shows, music or books inspired you with their “voice of courage and conscience” in 2013. This past Saturday, MPAC honored three exceptional projects -- “5 Broken Cameras,” “Bones” and the Sundance Film Institute -- at its 22nd Annual Media Awards Gala. 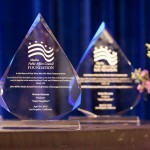 It was an glamorous evening with emotional moments as the honorees thanked the American Muslim community for their support. MPAC's Hollywood Bureau proudly announced today it will honor 2013 Oscar nominee for Best Feature Documentary “5 Broken Cameras,” co-created by Palestinian filmmaker Emad Burnat and Israeli filmmaker Guy Davidi, during its 22nd annual Media Awards Gala this spring. Without using the incident in Aurora as a political pawn to move legislation, we must continue these debates in a respectful manner while being cognizant of the hurt Aurora citizens are going through. MLK one of the greatest nonviolent leaders of our nation, once said America is “the greatest purveyor of violence” -- it is time for serious introspection to determine the root causes of the violent culture in our society today. Winner of the Sundance Film Festival’s World Cinema Audience Award, "Kinyarwanda" takes place during the Rwandan genocide in 1994, when several heroes emerged to remind people of their humanity. MPAC will be honoring TLC for its show “All-American Muslim” and the film “Kinyarwanda” at the 21st Annual MPAC Media Awards on Sunday, May 13, in Los Angeles. 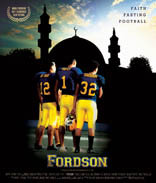 The long anticipated documentary “Fordson: Faith, Fasting, Football” is scheduled for national release Friday, Sept. 9. It run for one-week at AMC theaters in 12 major cities. You don’t have to wait much longer to see “Fordson: Faith, Fasting, Football” on the big screen. The 20th Annual MPAC Media Awards Honoree will play exclusively at select AMC theatres starting Friday, Sept. 9. On June 25, MPAC will honor prolific actress Hiam Abbass during the 20th Annual Media Award for her role as Hind Husseini in the groundbreaking film “Miral.” Abbass plays Husseini, a visionary teacher who founded the Dar Al-Tifel Institute in Jerusalem after the Arab-Israeli War, in this poignant film based on a true story. 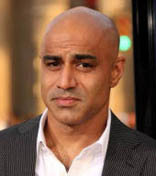 Faran Tahir is a Pakistani American actor you may recognize from such blockbuster films as "Iron Man" and "Star Trek." 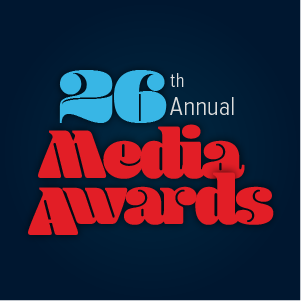 The honorees for the 19th annual Media Awards Gala are the award-winning independent film "Amreeka" and Pulitzer Prize-nominated author Dave Eggers. The Muslim Public Affairs Council announced today that it will recognize playwright Wajahat Ali as a rising American Muslim artist at the 18th annual Media Awards Gala on Saturday, April 25 in Los Angeles.